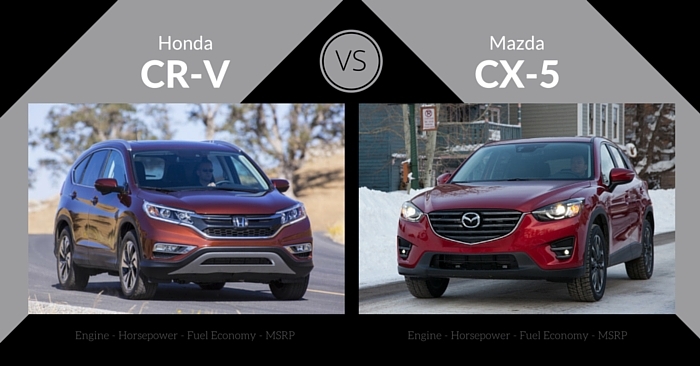 Not everyone needs a gas-chugging SUV with 30-way adjustable seating. 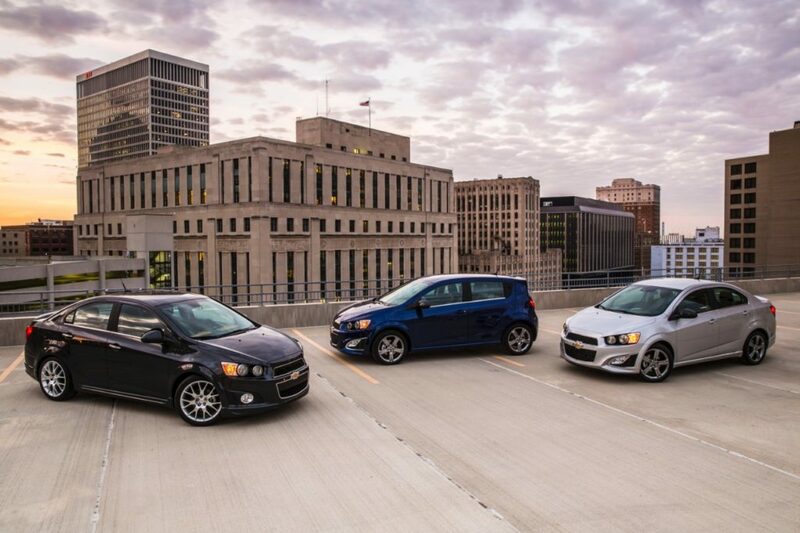 If you care about greater efficiency, practicality, and price, a subcompact car may be for you. Thanks to great subcompact cars like the Ford Fiesta and Chevrolet Sonic, you don’t have to sell your house to afford a reliable, fun to drive vehicle. With both 2016 models now available, Carsforsale.com is comparing specs, design, safety, features, and performance of the 2016 Ford Fiesta vs Chevrolet Sonic to help you decide which vehicle will best fit your needs. The 2016 Ford Fiesta is a sporty and stylish little car. It’s available as both a hatchback and a sedan, but it feels more at home as a hatchback. Resembling a small Ford Focus, the Fiesta offers a spunky and fun presentation. The 2016 Fiesta features a low-set trapezoidal Ford grille, slim and long headlamps, and a small profile you would expect in a subcompact car. With colors like Blue Candy, Kona Blue, Ruby Red, Electric Spice, and Shadow Black, you’re certain to find the look that fits your personality. For the price point, the Fiesta offers surprising interior design quality. Upscale interior materials and a quiet cabin for the class are high points of this subcompact car. 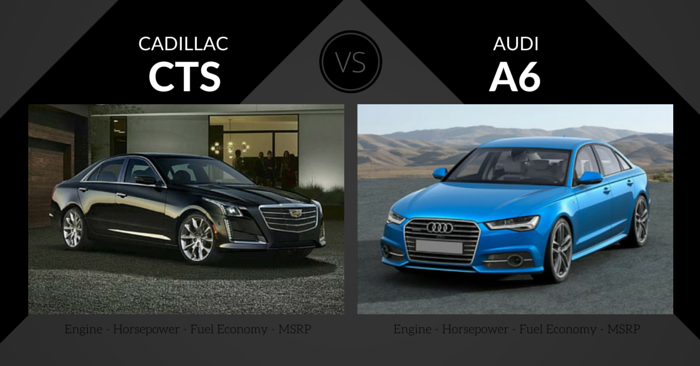 Controls and buttons are relatively simple, but not boring like we find in some entry-level priced vehicles. Like with any subcompact, storage space is limited. The front seats are spacious, but not plush. Rear seats will not be adequate for taller adults. The Fiesta is not very wide, meaning it will be a stretch to fit 3 people in the back. Storage space is good with the 26 cu. ft. hatchback, and a 12.8 cu. ft. trunk with the sedan. 60/40 split seats don’t fold fully flat, but still create additional space for larger items. The high point of the 2016 Ford Fiesta is performance. 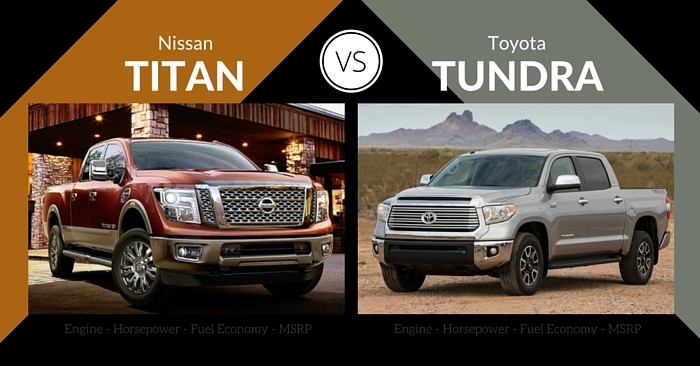 There are 3 engine options, each bringing unique qualities to the table. The base 1.6L 4-cylinder is adequate for commuting, inexpensive, and provides good fuel economy. The turbocharged 1.6L 4-cylinder found in the Fiesta ST produces 197 hp, which is more than enough power with a vehicle this light. This performance minded option is a blast to drive. The unique 1.0L 3-cylinder EcoBoost engine achieves 123hp. It achieves incredible fuel economy and can still be fun to drive. The 1.6L engine achieves 28 mpg city and 36 mpg highway. Fuel economy is incredible with the 1.0L 3-cylinder, achieving 31 mpg city and 43 mpg highway. The fast Fiesta ST achieves 26 mpg city and 33 mpg highway. The 2016 Ford Fiesta has not been fully crash tested. However, in 2015, the NHTSA gave the Fiesta a 4-star rating overall, and a concerning 2-star side crash rating. The NHTSA gave the 2015 Fiesta “good” ratings in every category except the difficult “small overlap front” test. 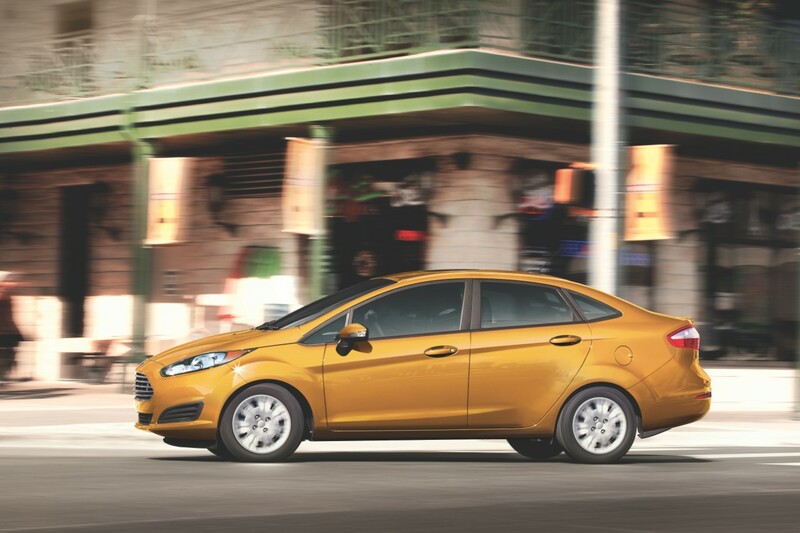 IIHS gave the 2015 Fiesta a “marginal” rating in that category. In 2016, the Fiesta has a healthy set of safety features with standard perks like blind spot mirrors and Pull-Drift Compensation; a feature helping the vehicle track properly with heavy winds, slanted roads, etc. Ford also offers AdvanceTrac Electronic Stability Control, which helps the Fiesta avoid fish-tailing or skidding, and modulates brakes and engine torque when it detects wheel slip. 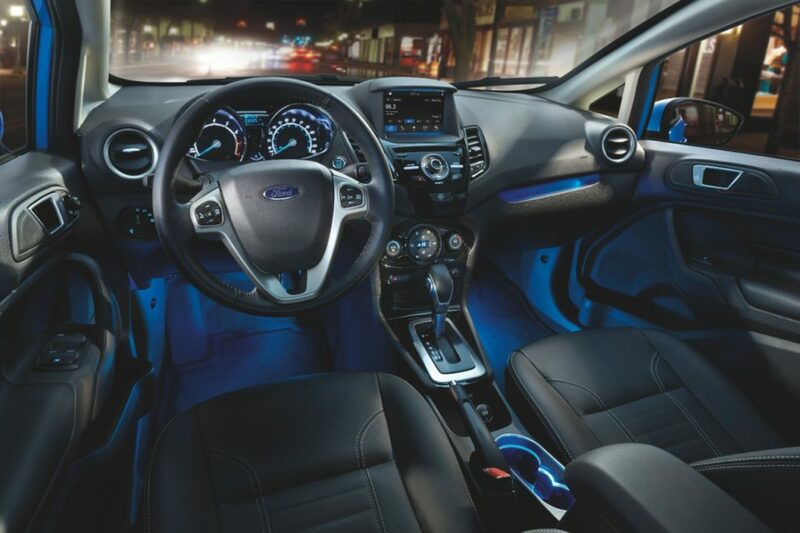 At its base price, the Fiesta has manual windows and no cruise control, but it has a couple perks like Bluetooth connectivity with voice recognition. 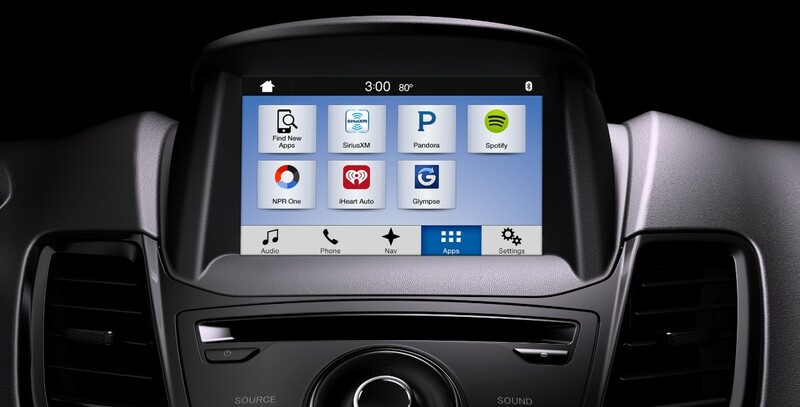 Despite the bare-bones base option, upgradable features are plentiful, with options such as Ford MyKey, keyless entry, 6.5 inch touchscreen, USB ports, heated seats, SYNC 3 infotainment, and more. 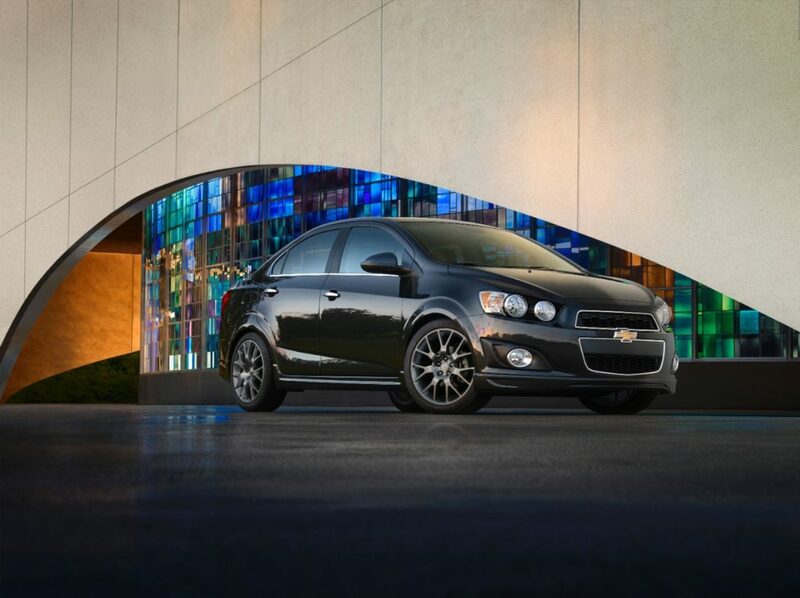 On the outside, the 2016 Chevrolet Sonic remains largely unchanged after 5 years of availability. 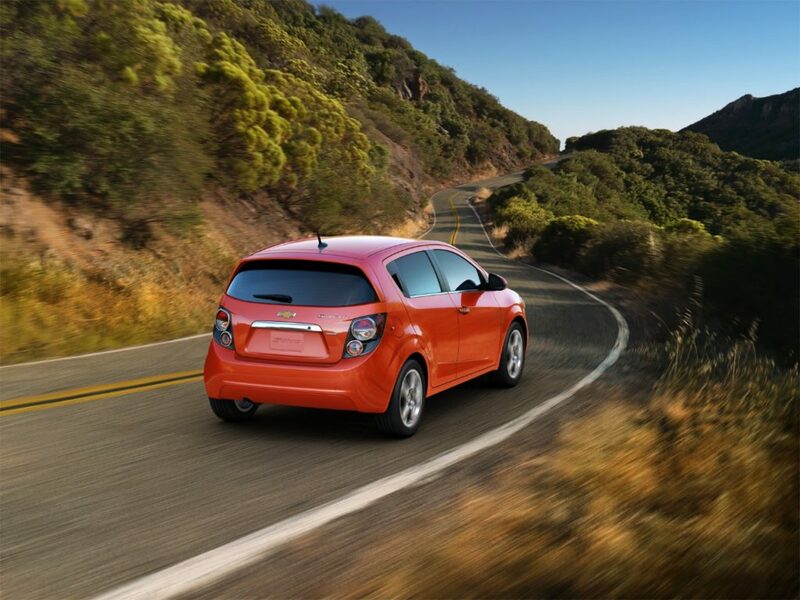 Available as a hatchback or sedan, the Sonic feels more natural in its hatchback form. 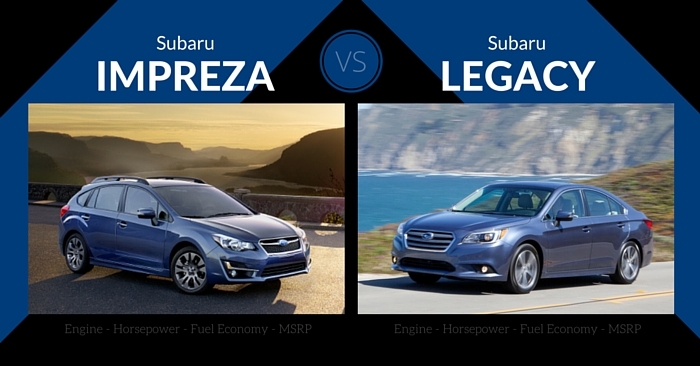 This subcompact car takes on a more traditional look as a sedan, and a bold, coupe-like look as a hatchback. Overall, it’s a bold presentation that stands out on the road, especially with colors like Dragon Green Metallic, Bright Yellow, Kinetic Blue Metallic, Red Hot, and White Diamond Tricoat. 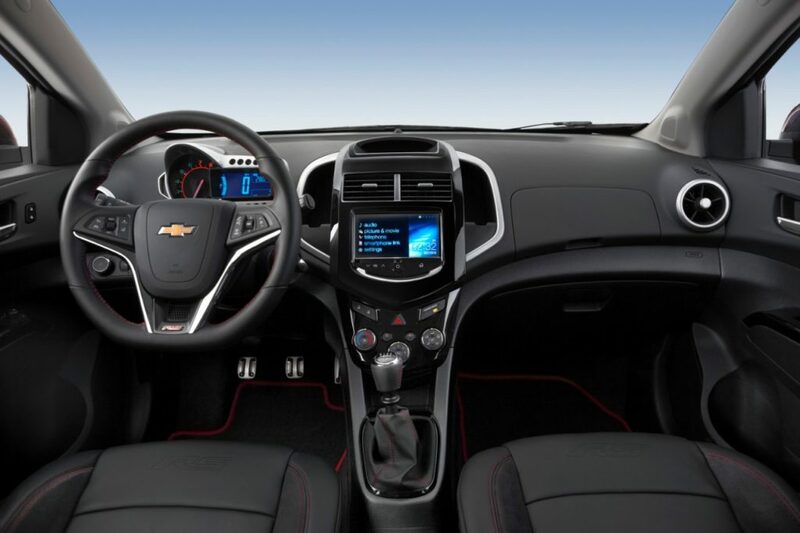 Interior appointments in the 2016 Sonic are central and symmetrical. Buttons and gauges are simply arranged and displaced. Ride inside the Sonic is quite pleasant in comparison to the class. Cargo and passenger space are great in the Sonic. There is room for 4 average-small sized adults. Front seats are quite comfortable, and back seats are adequate. The sedan has a 19 cu ft trunk, while the hatchback has a 15 cu ft cargo area. Folding back seats create a 47.7. cu ft cargo space in the hatchback. The base engine in the Sonic is a 1.8L 4-cylinder engine. 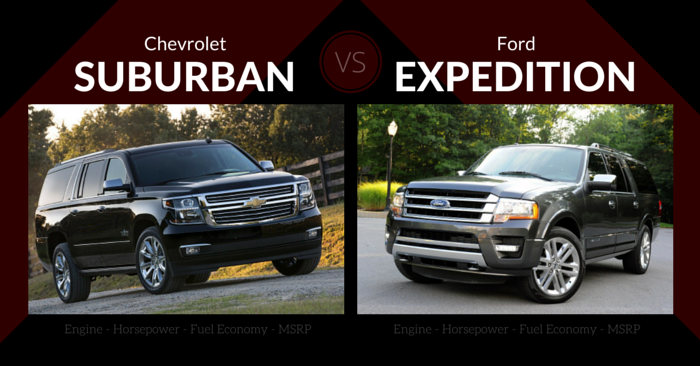 This option is inexpensive, but is somewhat unrefined in comparison to upgraded engines. The 1.4L turbocharged 4-cylinder is more efficient and more fun to drive. Both engines are available with automatic or manual transmissions. Overall, drive quality is good for the class with responsive steering and handling. Safety ratings of the Chevy Sonic are commendable, with a 5-star crash test rating from the NHTSA. The IIHS hasn’t tested the 2016 model yet, but 2015 was an IIHS Top Safety pick, so we expect the same this year. Every Sonic gets 10 airbags and blind spot mirrors, while rearview camera and a package of collision-avoidance features are optional. Standard features on this subcompact car include steering-wheel audio, Bluetooth and remote keyless entry. Upgraded features include Chevrolet MyLink, 7-inch touchscreen, USB, in-car WiFi, navigation, heated seats, heated mirrors, and more. The base Fiesta lacks features that every 2016 vehicle should have, while the Sonic offers a few perks to keep the bargain shopper smiling. The base sonic is a safe, fun little package that is worth the money. With incredible efficiency from the 3-cylinder engine, or sporty driving from the Fiesta ST, we love Ford Fiesta’s upgrade options. 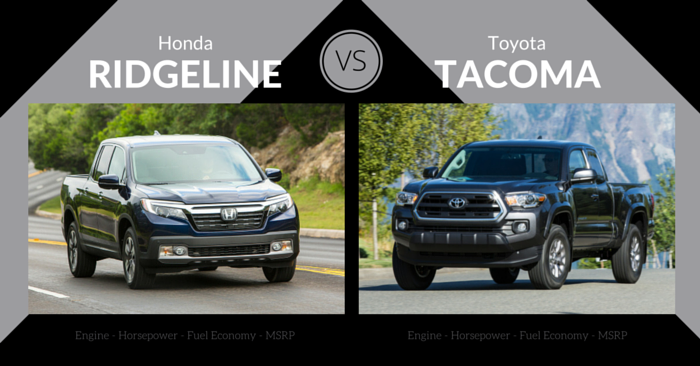 It’s a great looking vehicle, with tech and performance quality to back up the looks. 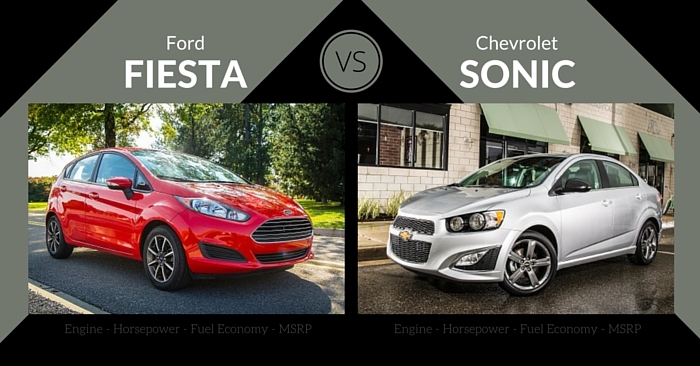 In an extremely close matchup comparing the 2016 Ford Fiesta vs Chevrolet Sonic, the Sonic edges the Fiesta by a hair. While the Fiesta looks great, has good infotainment, and performs well, its safety ratings and limited storage are concerning. The Sonic has impressed us with its spacious, smart design. It’s one of the safest in its class and has top-notch tech features like WiFi and Chevrolet MyLink infotainment. 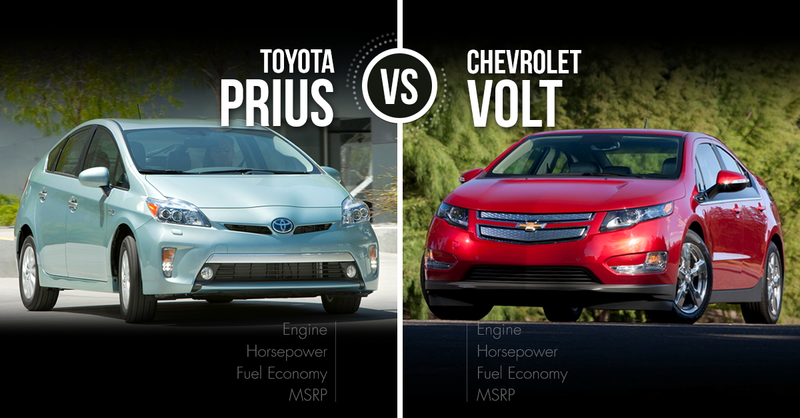 Which subcompact car wins? Let us know what you think in the comments below!